Mefacilyta DeskTop is a skill teaching app we have been working on in partnership with other Saint John of God organizations in seven European countries as part of an Erasmus+ European funded project, the other countries include; Spain, Germany, Poland, Portugal, Austria, France and Ireland. 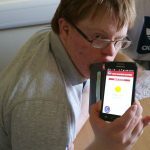 Mefacilyta Desktop is an Android App and it aims to create step by step instructional activities to support the service users to do the things independently and with more autonomy. 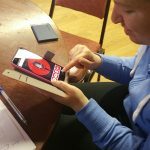 In Ireland the individuals who volunteered to use the app all identified and choose the new skills they would like to learn. Then together with help from their support staff and AT facilitator they created the step by step guides to support themselves to learn new skills. 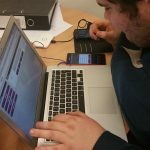 Mefacilyta uses multimedia through the use of images, audio (recorded voice or computer voice) and video content to create systematic instructions on how to complete an activity. 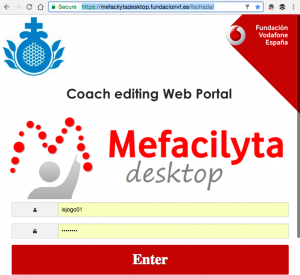 Mefacilyta DeskTop is the international version of a Spanish App that was developed by the Vodafone Foundation in Spain over five years ago. We would like to invite other service providers to come to our workshop on how to use Mefacilyta DeskTop on Wednesday 21st June in our headquarters in Stillorgan. How to use Accessible feature? How to use the 'Week' calendar? How to use the favourites? This project has been funded with support from the European Commission. This web reflects the views only of the author, and the Commission cannot be held responsible for any use which may be made of the information contained therein.